After a long hiatus Hellblazer issues are once again being published in trade, leaving a gap of 46 issues that remain unpublished to this day. This TPB is the second in the new run of collections and it collects the first 6 issues of Warren Ellis’ run on Hellblazer. The story is set in the year days of the ”New Labour” era in London, with Constantine freshly back in town after being away for some time. After hearing about the murder of an old acquaintance, he starts to look around for trouble and to get the bottom of it. 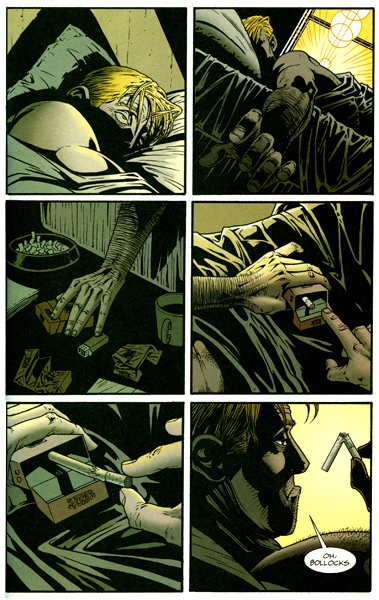 As with all Hellblazer books, this trade contains a fair amount of brutal scenes, plenty of dark going ons and a astronomic total of cigarettes smoked. I have been a long-time fan of Ellis and have come to expect a high level of writing from him in his work, and this book is no exception. It is written around Constantine and the person he is, rather than trying to squeeze his character into some over-the-top story, as other writers have done through the years. The downside to this approach is that this TPB doesn’t really contain anything new for Hellblazer fans, and while it may be a good read it wont be particularly memorable. 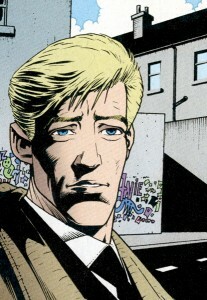 The art, drawn by John Higgins, is far from top notch and in certain panels Constantine looks more like blonde Hugh Grant than the magician we have come to love. The colours are good, as is a lot of the other artwork, it’s just those few panels that help tarnish the artwork of the book as a whole. The main reason I am critical of this book is that I try to think in terms of ”What would a first time reader think if they read this?”. For this collection I would say they’d enjoy it, but their enjoyment would pale in comparison to the experience they’d have if they started with a Delano or Ennis arc. For that reason I would say this book is for current fans of Hellblazer only. It’s far better than all the uncollected stories, but it’s one of the weaker TPBs in the series. I give it 3 stars out of 5. I was unable to get this book for a while – after finally purchasing it my idea of Constantine was unchanged. Non-essential reading for continuity. There is no essential collection to read before as it’s Ellis’ first TPB, however I would recommend reading all of the other stories first to get maximum enjoyment out of this one. If you haven’t read any Hellblazer at all, you could start with Delano’s trade Original Sins, which collects the first 9 issues of the Hellblazer ongoing, or even read Swamp Thing, where the character was first introduced by Alan Moore. Next in Ellis’ run is Hellblazer: Setting Sun. I think you’re right that this book was enjoyable, but ultimately forgettable. It’s a shame, because you’d think one of my favorite writers on one of my favorite characters would result in something spectacular. Ah well. Nice review, Ragnorak! I must admit to basically being a noob when it comes to Hellblazer, so it’s nice to see a review of one of the older collections. Looks like this is one for me to check out way down the road, when I’m more familiar with the character! 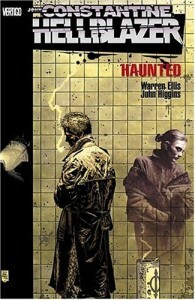 Thanks for finally writing about >Review: Hellblazer: Haunted | Trade Reading Order <Loved it!